My weight was a side issue. My weight was a side issue, the real issue has been my heart: I have struggled with my weight for most of my adult life, going from diet to diet, all to gain the weight back. My weight had begun to take its toll on my small frame, I had an immense amount of back pain, high blood pressure, diabetes and really bad sleep apnea. I longed to be an active Mom/Mimi but I didn't have the energy to do anything that was above my normal activity that had to get done. Leaning on Him helped me! 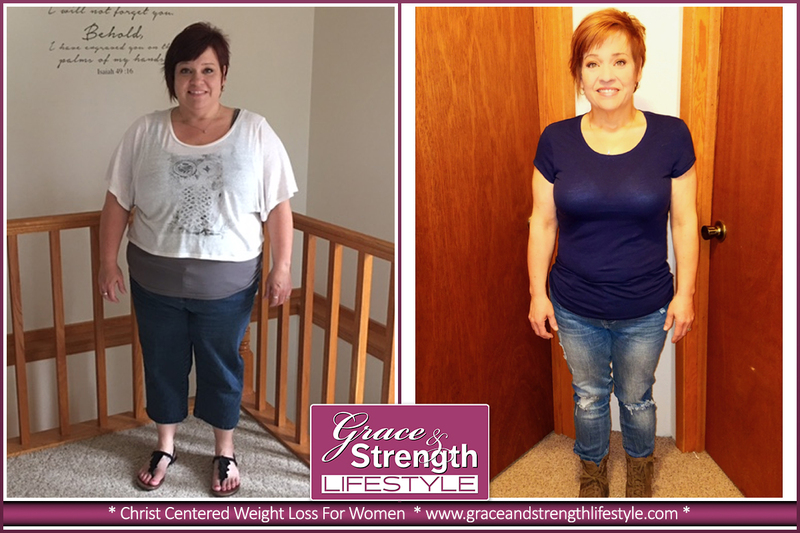 We are so happy to share this story from a recent graduate about her journey on the Grace and Strength Lifestyle: The Grace and Strength journey for me has been more in building my relationship with God and leaning on him more than any of the weight loss. I've heard of Grace and Strength before and even have had friends walk down the G & S journey. 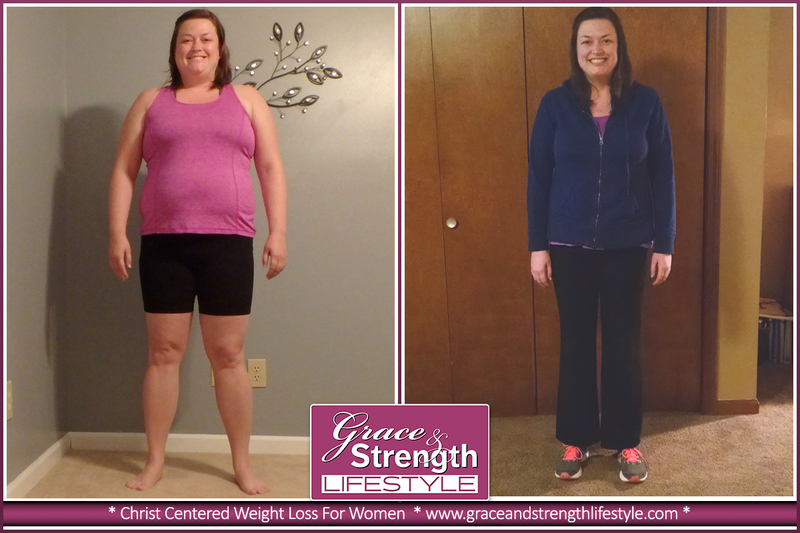 This recent graduate, who wishes to remain anonymous, has a story to tell about acceptance and accountability and what she found and achieved when she joined the Grace and Strength Lifestyle. I have been with Grace and Strength for more than a year. I joined in January 2016. I live in Europe and simply found Grace and Strength on the internet as I was looking for a solution for my weight problems. It's OK to choose the Harder Path! 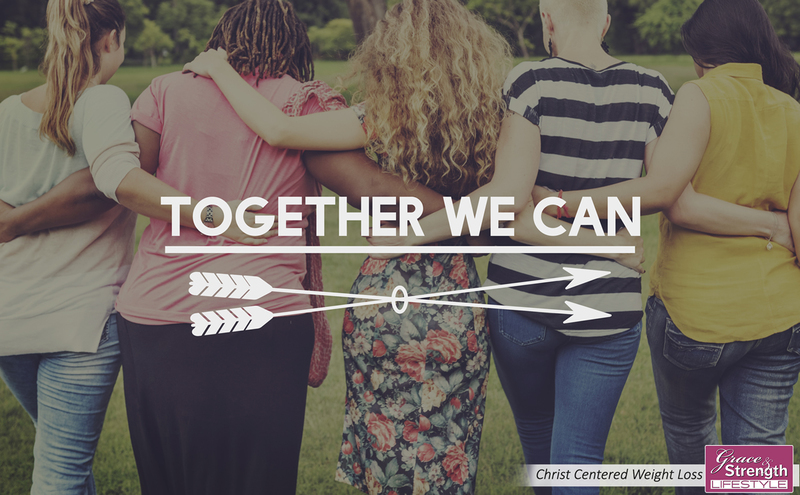 Beth's Story: I began Grace and Strength like so many people did. I watched a friend who was part of the program and I saw her weight seeming to melt away. At first when I talked about it with her I thought "that sounds too hard!" But as I watched her continue to shrink and her confidence grow I started thinking "maybe." As my weight reached an all time high and it felt hard to leave the house because of feeling uncomfortable in my own skin I realized that it was also hard to be overweight. What I wanted was another diet plan. What I wanted was to take another stab at not failing, again, at keeping the weight off. I didn't expect to gain anything. This was all about loss, right? Instead, I gained a group of women who went to their knees for me, a total stranger, when I confessed after my first four days that I felt like I was losing my mind. Detox from processed foods, sugar and diet soda is no joke!